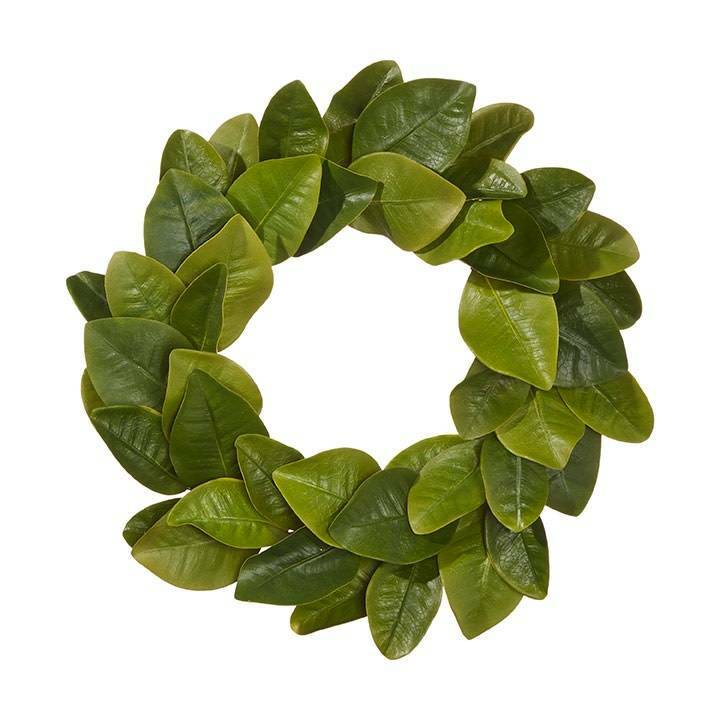 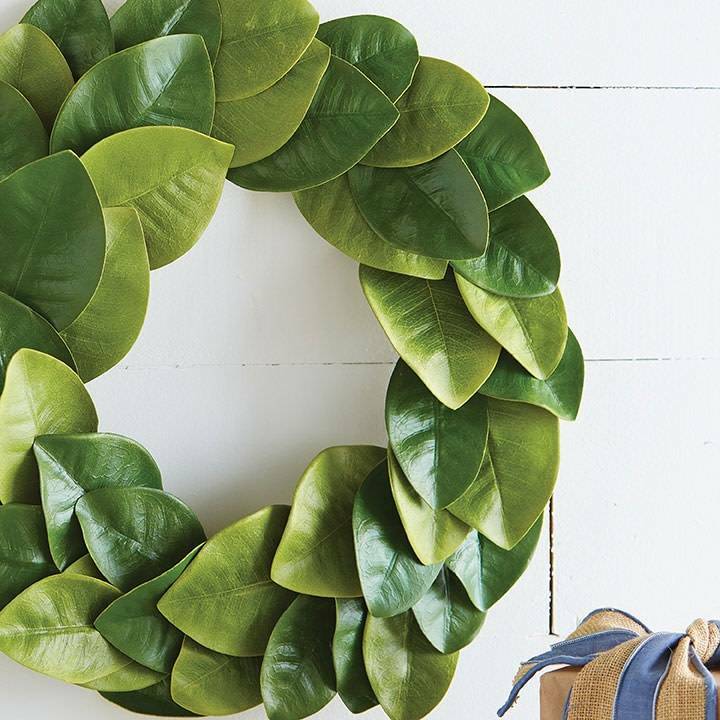 This Magnolia Leaf Wreath is absolutely stunning, and though artificial, it has all the beauty and charm of a real Southern Magnolia. 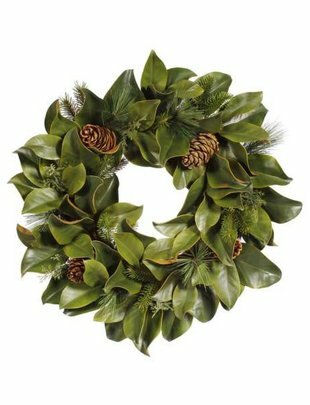 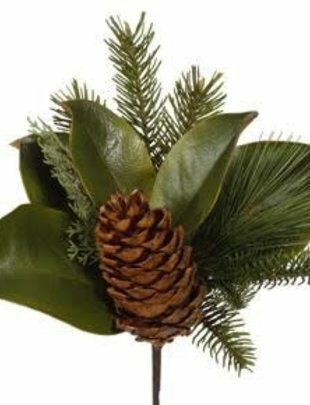 Made from high quality, silk greenery to give a completely realistic appearance. 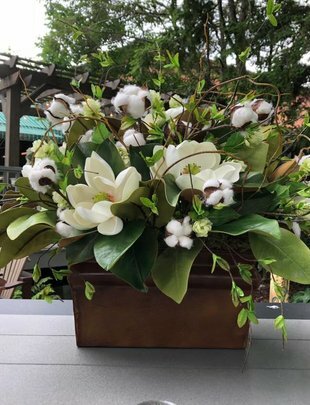 These pieces featuring Magnolias have been a part of our store collection for many years, bringing joy to us and so many of our customers! 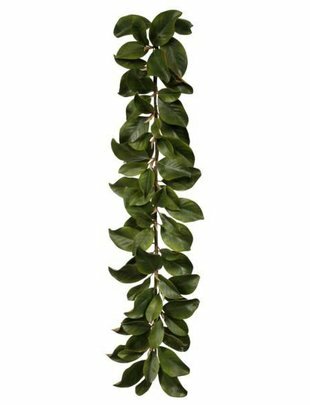 High Quality Faux Artificial Silk Greenery.